You are currently browsing the category archive for the ‘Scripture Study’ category. A few weeks ago I was asked by our local missionaries to find some people willing to share their conversion story with one of the people they were teaching. I knew of a lot of my friends from various walks of life who had converted to the Church of Jesus Christ of Latter-day Saints (the Mormons) so I asked for their conversion stories. I appreciate the responses and will have a little “series” of posts called Mormon Conversion Stories. Each person’s story is unique and very personal, but it illustrates just how personal our Heavenly Father is when we open our hearts up to Him. The first story I would like to share is from one of my friends named Brandon. He is a gifted illustrator and has a website: http://www.drawingfaith.blogspot.com where he has drawn images from various stories in the scriptures. I was born Catholic, to a great family. My dad is an incredibly family-centered man who has always sacrificed for our family. My mom (with Dad’s support) made sure that my brother and I got a traditional upbringing in our native faith, complete with us going through most (if not all) of the Catholic ordinances, and I remember Mom reading to us from the Bible a lot as we grew up. I believe this instruction helped prepare and build my faith in the Lord. By the time I was 19, I was in art school and working at a local movie theater. It was a wonderful time of making new friends, learning, and growing. Somewhere around that time a young man completed his mission in South Africa, Johannesburg. He went by “Fritz” and came back to work at the theater. Being ignorant of what being “Mormon” was, I have to admit that when I heard Fritz was Mormon I thought it meant that he was Amish 😉 He was a very interesting and cool guy. My best pal from those days and I became fast friends with him. As we hung out, as recently-returned missionaries are wont to do, he shared with us about his faith. I can remember being at McDonald’s as he shared with us about the Plan of Salvation—God’s plan for us that includes our pre-mortal life and choice, as His spirit children, to come to earth. I can’t remember all the details of what he shared that night, but I can say that neither I nor my friend had ever heard anything religious that made so much stunning, intellectual sense as what we were told that evening. After that conversation both my friend and I expressed the sentiment that we were ready to “sign-up,” so to speak. But it would be some time before anything would truly gel for me about the faith. Fritz also shared with us about the Book of Mormon, Another Testament of Jesus Christ. Eventually I requested a copy from him. 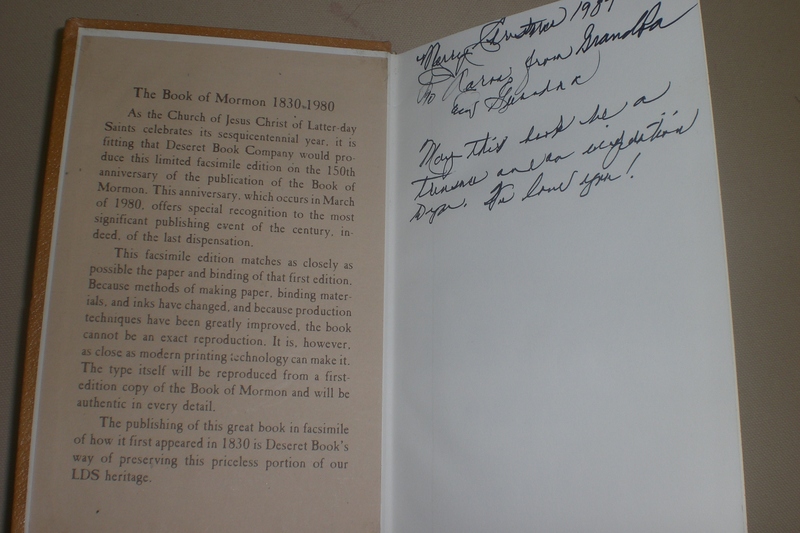 One day as my friend and I were working in the box office, Fritz came up to us with two copies of the Book of Mormon, and said, laying them at our stations, “Here’s two free tickets to Heaven.” That makes me chuckle to remember. I began to read the book, every night going through a chapter or so. 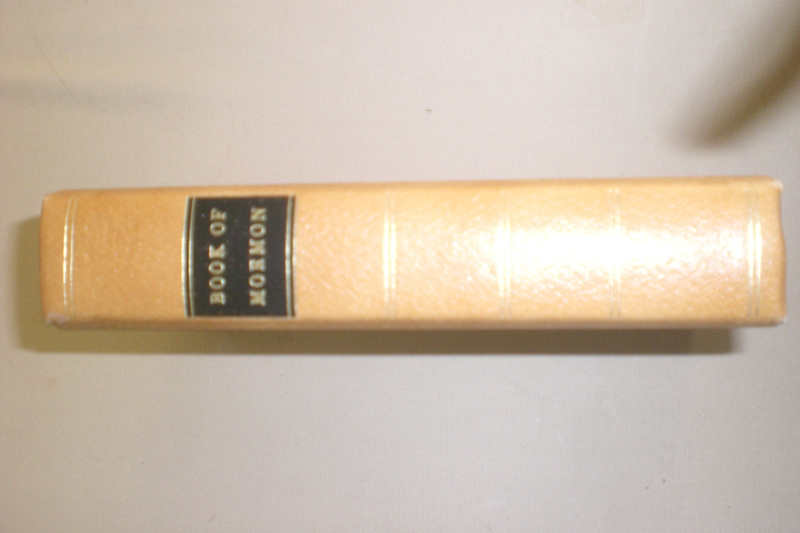 The book had been prepared with tabs to key chapters. There was a tab at Moroni 10:3-5, still a favorite for me. As I opened to the tab and read those yellow-highlighted verses, I understood I needed to pray to know if the book was true. (It is interesting to me just how much my faith was growing at this time. I was at a point where I feared that God would actually answer me. Funny, I know. But the gravity of actually connecting with the Divine was a very new and startling idea for me.) That scripture in Moroni promises that an answer will come to those who ask in sincerity of heart, with real intent, having faith in Christ—that the answer will come, “by the power of the Holy Ghost.” Now, over a decade later, I understand better how the manifestations of the Spirit can be sometimes subtle and small, or sometimes dramatic, warm, and unmistakeable. But as a younger man I didn’t know what it would mean to get an answer, or how it would come. With the best faith that I had at that time (certainly like a grain of mustard seed), I began to pray and ask. I believe I had only (or very mostly) Catholic training regarding prayer, so each night I would pray the Our Father and then add some of my own words to ask for the truth of these things. Nothing happened right away. I read through quite a bit of the Book of Mormon, night by night. Then, when I was somewhere into the Book of Alma, while reading one of the war chapters, I began to envision the armies, the scenery, as I read. When I finished reading, an overwhelming feeling of warmth and peace came upon me. It was a better feeling than I had ever had. I was by myself in my bedroom. I looked up at the ceiling and said something along the lines of, “Wow. There is a God.” The feeling was so wonderful that I did not want it to leave and it stayed with me for quite some time. It was enough for me to recognize not only the existence of God, but also the truthfulness of the Book of Mormon. I learned that the next natural step, having received a witness that this is true, was to be baptized. My pal, Fritz, was at BYU during this time, so we would write letters to each other. I asked what I needed to do to be ready for baptism, and he helped to guide me (I wanted to be worthy of it and had some behavioral clean-up to do). I soon began to meet with the missionaries, got baptized, and it’s been a wonderful learning experience I do not regret. My membership in The Church of Jesus Christ of Latter-day Saints has been life-changing and so very positive. I must add, among so very many other things I could share, that in recent years I have pondered why, though I was nightly praying and reading, I had to wait those many nights before I got an answer from God (I had made it into the chapters of Alma for Pete’s sake). And why was it that I was reading a war chapter on the night He gave to me to feel the Holy Spirit that first, dramatic time? As I pondered this while driving home from work on a wintry day, I received a distinct impression in my mind about how important it is to fight for those things that are best in life. Anything worth it is worth fighting to obtain. In fact, if you’re fighting through life to stay true and/or to gain truth then you’re on the right road. The things we struggle to obtain are often the things we treasure the most. To anyone who is pondering about the Book of Mormon, or wondering whether joining The Church of Jesus Christ of Latter-day Saints is the right move, I say hold on. Seek the Lord about the truth of it. He will answer, in His time and way—in the best and most instructive way for your needs. I also believe that John 7:17 shoots us straight, that the proof is in the pudding: “If any man will do (God’s) will, he shall know of the doctrine, whether it be of God, or whether I speak of myself.” We should try these things out, try to live what we’re reading in the Book of Mormon to know the truth of it. Walking the path of truth paves the way for the Holy Spirit to find us. This is the first Spiritual SOAP post in the series. 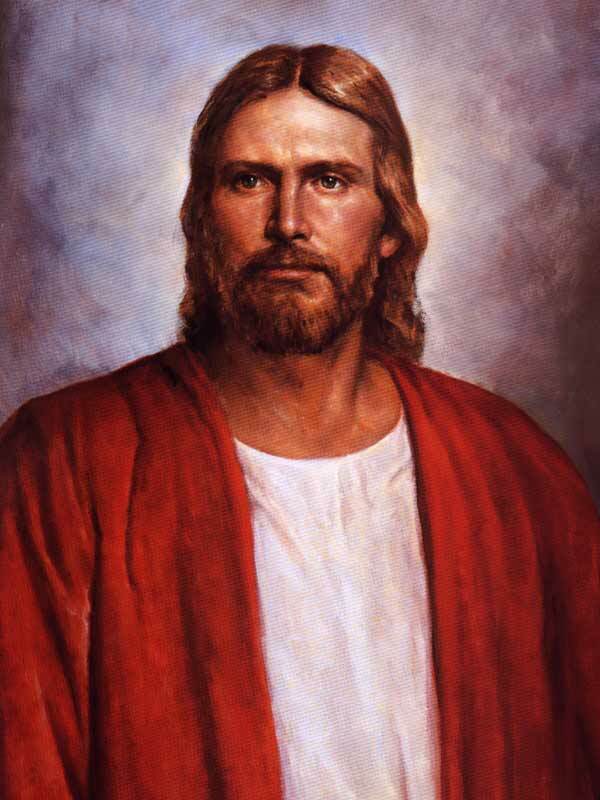 In our class, we started in 3 Nephi 11 of the Book of Mormon, mainly because this is where Jesus comes and teaches his most basic doctrines of salvation. As they gathered, they were open in their lack of knowledge but openly discussed their concerns as well. Gather at a place of worship. Examples of places of worship include: churches, homes of the faithful, the temple, etc. When we are gathered it is good to be open with one another and openly discuss our lack of knowledge, issues, and concerns. This is how we grow. I pray that I will always remember to turn to God in times of need, but also that I will turn to God in the good times as well. I pray that He will lift me up and I will be able to have great associations with believers. I pray that my home will be a place where God’s Spirit can dwell and a refuge for my children and anyone else seeking the Lord. What thoughts do you have when you apply Spiritual SOAP to this scripture? 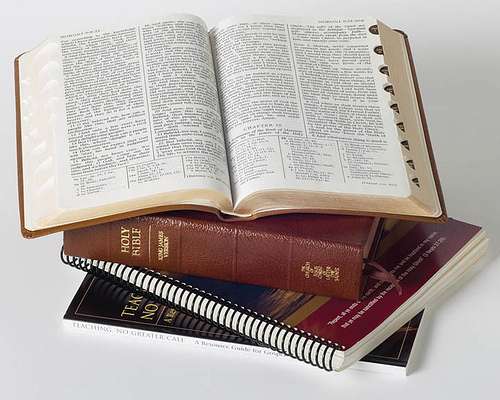 LDS Definitions of Scripture: How do we know if something should be Considered Scripture? On one of my most recent posts, some LDS and non-LDS christians were having a great discussion about what the definition of scripture is for each of us. I do not claim to be the expert on this topic for either LDS or non-LDS, but I can definitely share my personal thoughts and also point to what others have said that I agree with on this topic. This definition gives us a good start, but it can lead to various interpretations. According to this, it states that scripture is writing that is recognized by the Church, but also scripture are words spoken under the influence of the Holy Ghost. Therefore, one could interpret scripture to mean that it is anything shared by inspired men or women prophesying. This can be confusing for people. Especially if what one is speaking by the power of the Holy Ghost may not reflect one’s personal convictions. Or worse yet, may not be validated with other scriptures. I believe that according to this definition, scripture has two parts, or definitions to it. The first part is scripture for the Church. The second is prophecy or divine revelation for individuals. Is it claimed that the document was written by a prophet or an apostle? Is the content of the writing consistent with known and accepted doctrines of the faith? Is the document already used and accepted in the Church? Personally, I like the similar definition given by George Cobabe from FAIR. In his article on The White Horse Prophecy, he describes how the LDS church deems a writing to be considered scripture for the Church as a whole. First, it needs to be revealed through the prophet. Next, it needs to be accepted by the Quorum of the Twelve Apostles. Finally, it needs to be presented to the members of the Church and accepted. After all of these steps are met, then a writing is considered to be “scripture”. This process shouldn’t be foreign to other non-LDS Christians. It is similar to the councils held thousands of years ago to determine what should be considered scripture. The second part of scripture should also be familiar with non-LDS christians. The second definition of scripture for LDS according to the Bible Dictionary is “that which is spoken by the power of the Holy Ghost”, which in my mind is essentially prophecy. From my experience in the LDS church, one of the main ways one can recieve personal scripture is through a Patriarchal Blessing. In the LDS church, there are men who are set apart and called as “Patriarchs”. These men give inspired blessings and through the power of the Holy Ghost, prophecy personal revelation for individuals. On rare and special occasions, I’ve also seen people prophecy directly to someone but usually I’ve seen things come to pass through giving blessings. In either case, by definition, this could be called “scripture” as it is given by the power of the Holy Ghost. Another way people in the LDS church receive “scripture” is through the prophet and apostles speaking. Typically what I’ve heard is when they speak in general conference and their talks are published you can consider that scripture. However, I’ve seen people quick to dismiss some things, especially things that were “prophecied” by former prophets such as Brigham Young or Joseph Smith that may have been published but didn’t go through the aforementioned process of canonization. Therefore, there is some gray area around what to consider as “scripture” or just “inspired”. The two parts of defining scripture should be familiar to both LDS and non-LDS christians. I’m confident that both parties can agree on how the Church as a whole accepts scripture. The second part, which is less structured, may not be considered to be “scripture” per se for both parties. A safe way to measure if we can consider what someone prophesies to be deemed as “scripture” is if it lines up with what has been canonized. …For what is your life? It is even a vapour, that appeareth for a little time, and then vanisheth away. As he states and as James and Jacob state in the scriptures, life goes by quickly. As seen in the video, he talks a lot about achieving our dreams and our goals. If you notice, he focuses a lot on helping others. Let’s take some time today and reflect on our dreams and how we would treat those around us and act as if today is the last day. Try writing one for yourself. It’s a good experience. After you write it, take time to think about it often. The other day, my wife asked me, “Can you teach my Sunday School class this Sunday?” She was out of town and there wasn’t a substitute for the 14-15 year old class she teaches. I told her (reluctantly at first) that I would then asked “what’s the lesson on?” She said “Isaiah.” My desire to teach dropped like a rock in water. Isaiah? How am I supposed to teach something I have no concept about? I have been avoiding Isaiah for years. Sure, I know he has some great poetic verses about the Savior, but to teach? I started back-pedaling and asking her if there was someone else who could teach instead or if we could combine her class with someone elses. She has a good, soft heart for the kids she teaches and she told me she didn’t want them to have to be combined into a room with others. She felt they needed and deserved a personal teacher who would give them the best treatment. I told her I’d find someone for her. After we finished chatting I looked at the names of people who could substitute for her. I was about ready to call a substitute but I realized the love she has for these kids and the effort she puts into her lessons. As I thought of this, I realized that no one else would be able to simulate in a sense what she does except for me, as I watch her and hear her stories of each of them. I at least wanted to show up to the class and let them know of the love she has for them. I decided to put the phone down and call on the Good Lord for help instead. I was going to give the lesson. I shouldn’t have been suprised to get an answer to prayer so quickly, but not long after I prayed I received an email in my inbox from Meridian Magazine. There was an article by John Bytheway headlining the magazine called “Leafing through the Chapters of Isaiah” (I encourage anyone interested in familiarizing themselves with Isaiah to read this article in conjuction with Isaiah). I clicked on it and started reading and the first paragraph started describing how I felt as I thought of teaching Isaiah. However, after reading the article and studying the “Isaiah Chapters” of the Book of Mormon, I started getting excited to teach the class. The article discusses the four guides to look for in any of Isaiah’s writings as being those of Covenants, Christ, Current Events, and Coming Events. In addition, it discusses some keys (spirit of prophecy, geographical knowledge of Jews, living in latter-days, knowledge of God’s judgements) needed to interpret Isaiah. As I started reading the chapters with the guide and keys I started finding things in Isaiah I’ve never been able to comprehend or appreciate. I only studied for a few hours, so I barely was able to scratch the surface of Isaiah. However, some things that stuck out to me were: prophesies of temples, the restoration of the Gospel of Jesus Christ (see also Isaiah 11), Isaiah’s call as a prophet from the voice of the Lord, descriptions of the Millenium, Jesus’ personal approval of Isaiah, and much more. As I went to church, I pictured in my mind teaching the kids the best I could and taking care of them like my wife (and of course the Lord) wanted them to be taken care of. However, the opportunity to teach didn’t come because our normally scheduled one hour meeting lasted almost 2 hours and the bishop told us we would cancel Sunday School. Although I didn’t get to teach “Isaiah 101”, I’m grateful for the chance I had to learn and study and even if there were not many students in our church today learning about Isaiah, there was at least one student who learned something and that student was me.